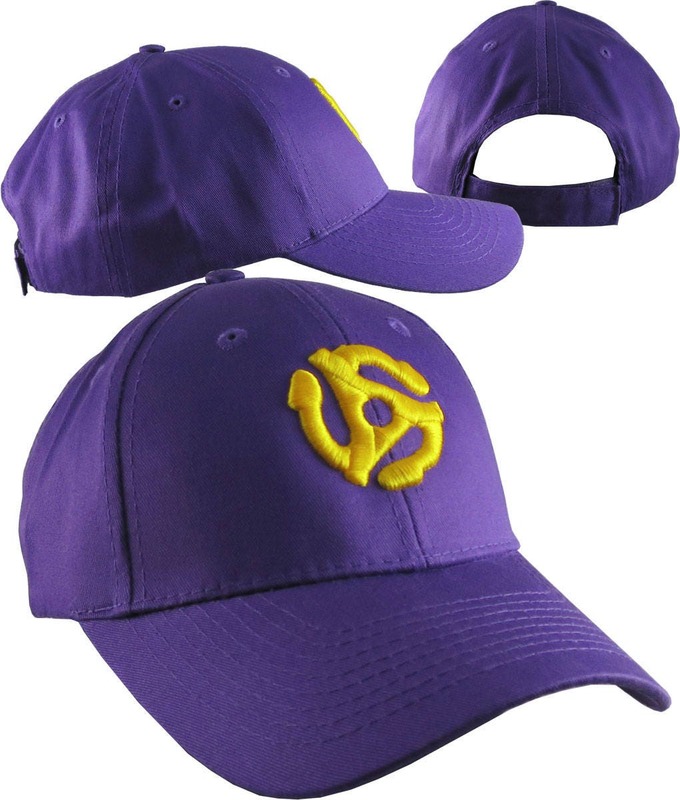 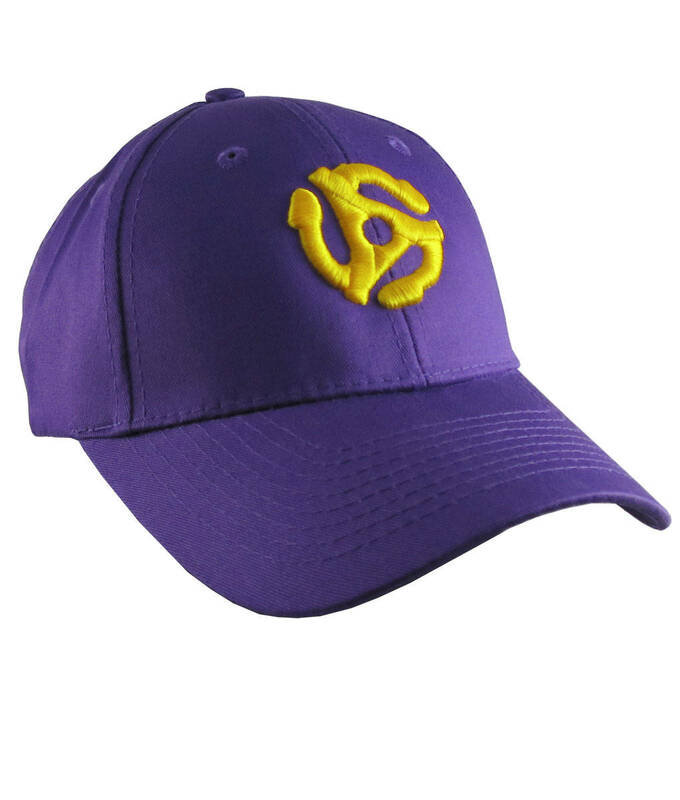 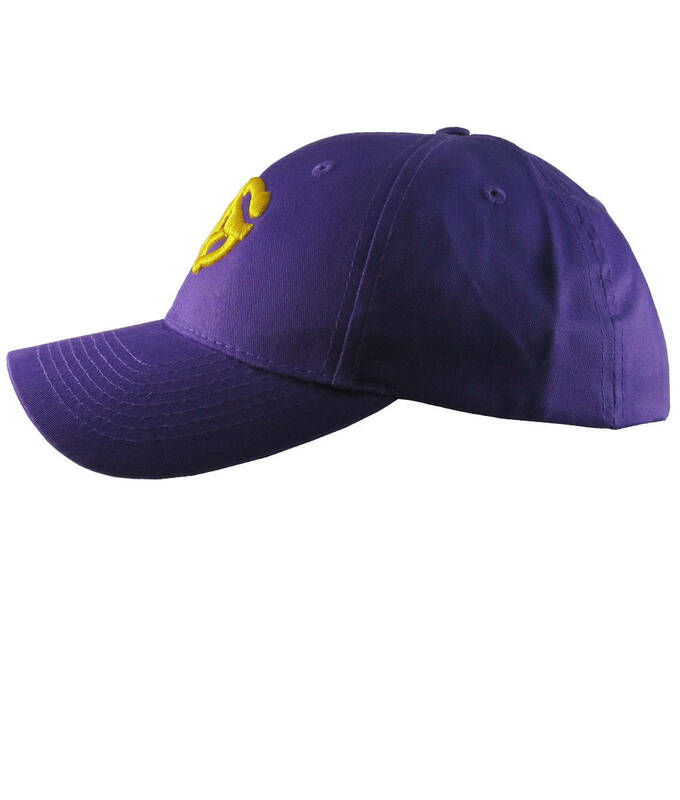 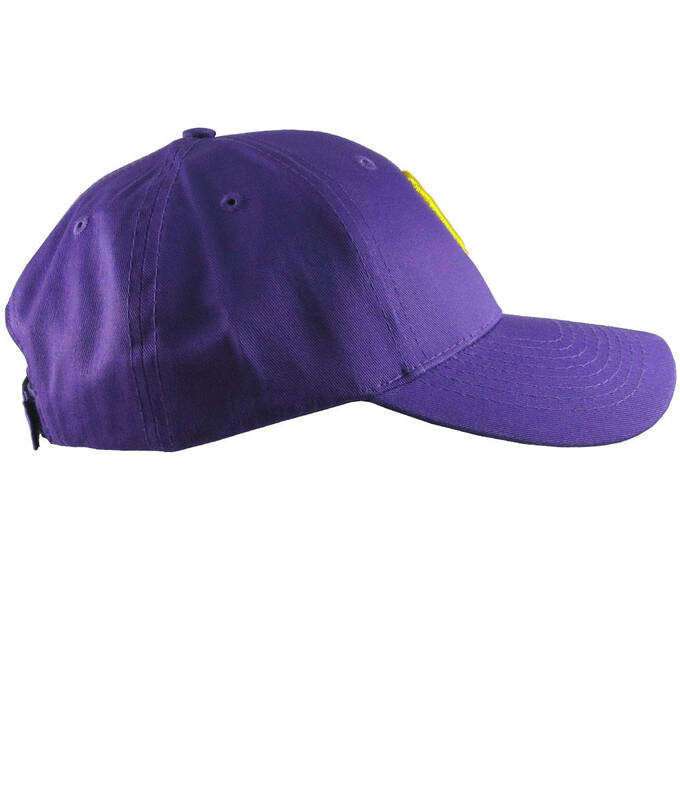 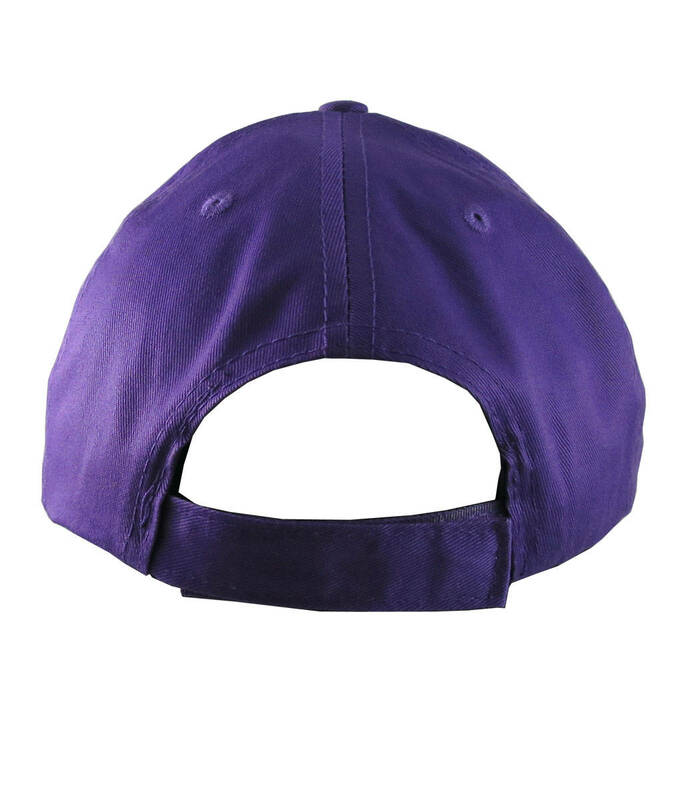 A pair of casual fun adjustable baseball caps in purple. 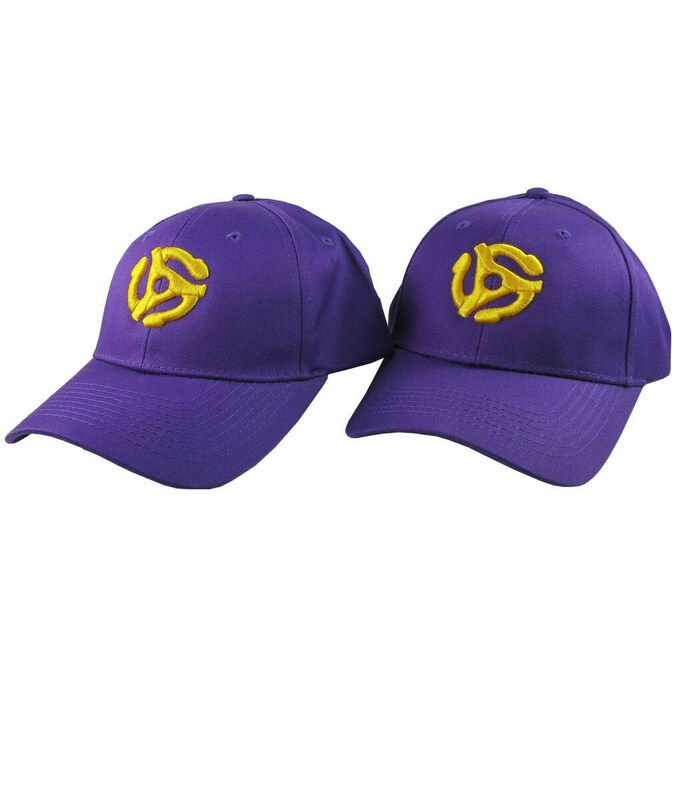 A one size fits most adults and a kids size for a great gift idea joyful pair. 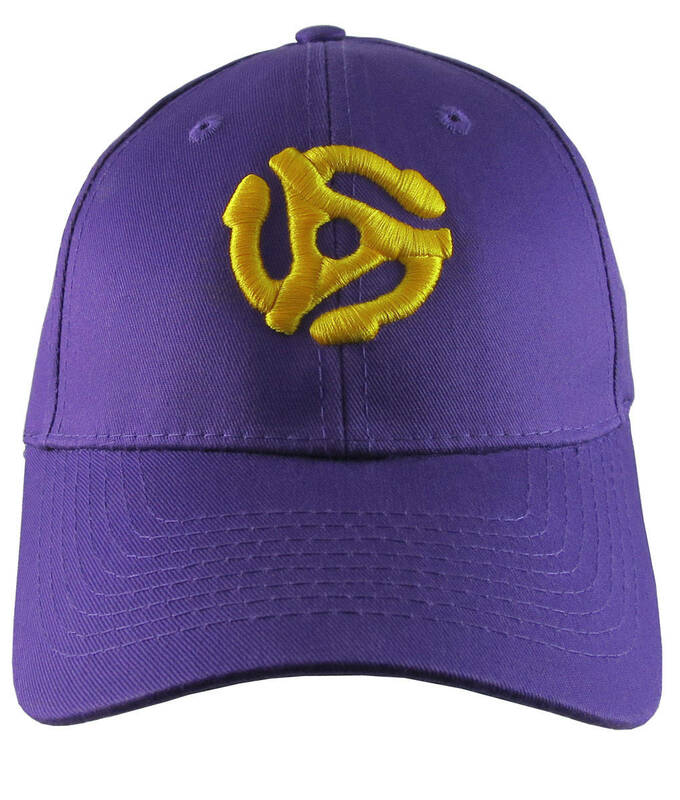 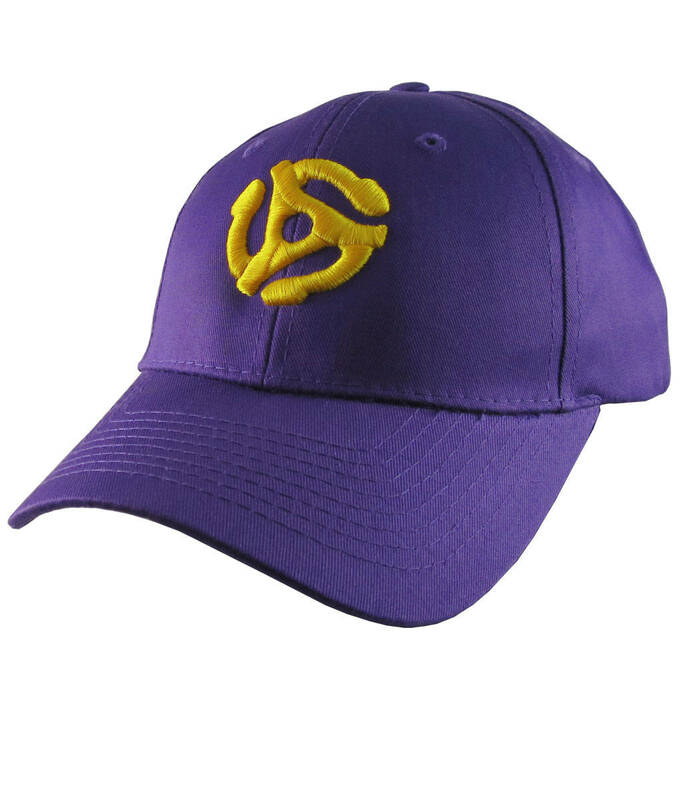 The hats feature a large 3D puff style 45 spacer yellow embroidery. 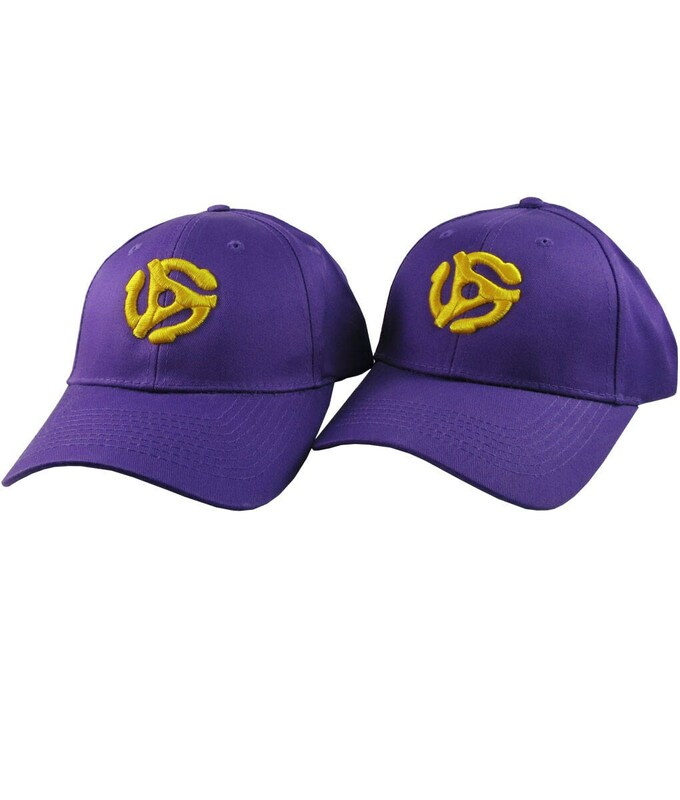 A great pair gifting idea for your next party event.